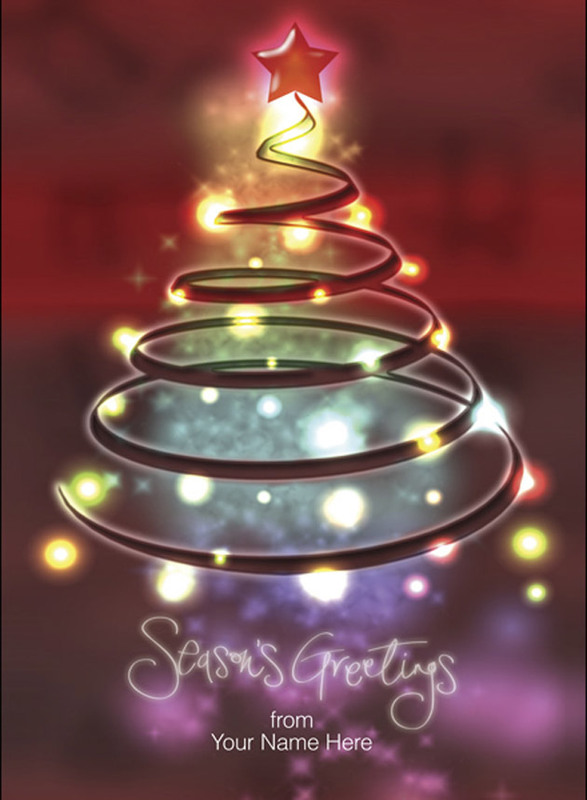 This contemporary, abstract tree brings the festive message 'Season's Greetings'. With this design you can add your company's name below the greeting, which will be printed as shown to create your very own Personalised Corporate Christmas card. The greeting 'Season's Greetings' cannot be changed. This design has a mirror gloss finish. Your company name or family name can be added to the foot of this abstract tree, where shown. By purchasing the Abstract Tree - Front Personalised Christmas card 10p for each card you purchase will be Donated to the Charity of your choice from the Charities listed below.